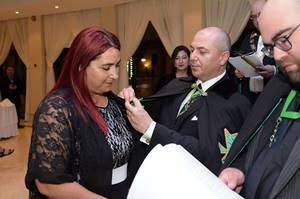 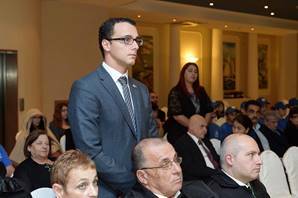 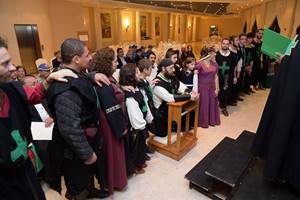 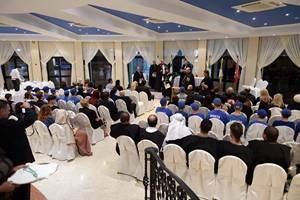 After the hugely successful February 2017 investiture, which saw members and officers and activists from each and every European country flocking to the Malta investiture held at the Grand Hotel Excelsior in Valletta, on the 20th of October 2017 a further joint investiture of the Grand Priories of Malta and Gozo was held at the Westin Dragonara Resort, Saint Julians. 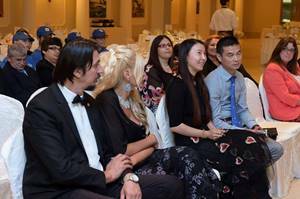 Guest delegations from a number of Grand Priories, including Serbia, Sweden, Northern Ireland and China were also in attendance. 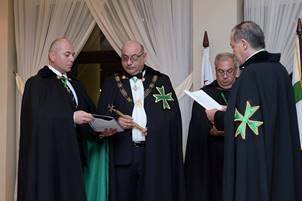 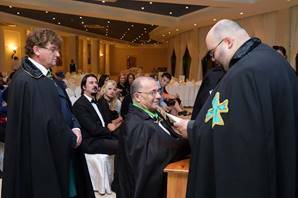 The investiture was conducted by representatives of the Supreme Grand Priory, who were the guests of the Grand Prior of Malta, the Chevalier Daniel Bugeja and his team of officers. 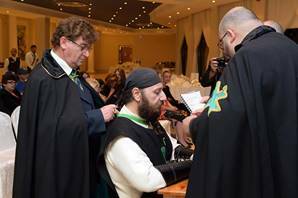 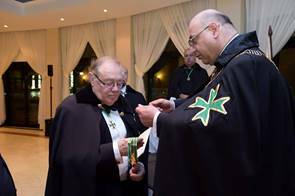 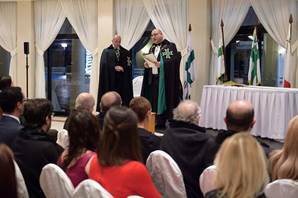 Grand Priory Chaplain the Reverend Mario Camilleri assisted in the investiture from the spiritual side of the solemn traditions of this Lazarite confraternity. 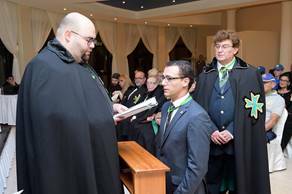 During the investiture, a number of postulants joined the Grand Priories, further cementing Malta's role as the biggest Lazarite community per capita within its jurisdiction. 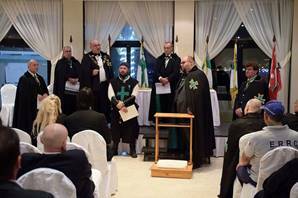 Promotions were also conducted to worthy knights and dames of the Order. 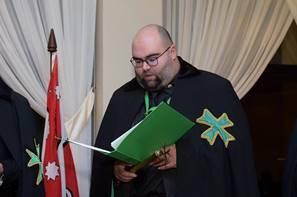 However, the highlights of the investiture was the promotion and confirmation of the Commander of the very active Projekt Lazarus Commandery within the Grand Priory of Malta and the granting of arms of the cadets of the Grand Priory of Gozo. 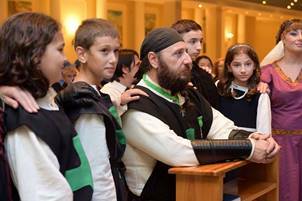 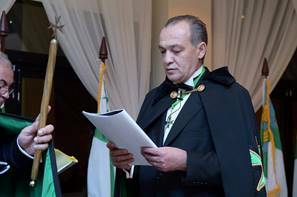 The latter, under the watchful eye of the Chevalier Charles Micallef, included a deputation from the ERRC cadets who were given their green Lazarite shoulder patches during the investiture. 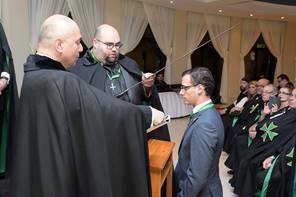 The former members and officers of the Projekt Lazarus Commandery all took the oath of loyalty to the Commander of the Commandery, Confrere Anthony Galea. 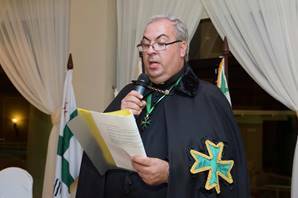 A number of donations were announced during the investiture, thus raising the tally of donations within Malta and Gozo by the Order to Euros 305,394 as at year end 2017. 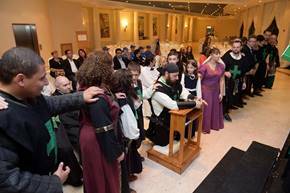 A superb investiture dinner and photo opportunities ensued after the ceremony.